Did you recently move to the Puerto Vallarta area? Did you move to improve your lifestyle? Or your health? Either way, let us be the first to say, “Welcome!” We know it can be overwhelming when you move to a new city (even if it’s just for a few months until the snow melts back at home): choosing a new dentist, finding your go-to grocery store, even deciding which detergent to use – the decisions might seem endless! But in this friendly city, where will you go to get the organic foods and produce you need? Worry no more, we got you covered with one of our favorite organic healthfood and produce store in Puerto Vallarta. Organic Select is one of our favorite organic produce stores in Vallarta. They are big supporters of regional development in surrounding Puerto Vallarta areas, expanding into communities with rich farming lands away from the toxicity of urban cities. As long-time residents and naturopath alternative medical experts in Puerto Vallarta, we’re proud to call this beautiful paradise home – and we’re confident you’re going to feel right at home here too! In supporting a healthy lifestyle, we believe healthy eating habits are fundamental for good health. We practice what we preach by safeguarding what we eat. A true farmer’s market delight, the team at Organic Select also make a holy good breakfast and lunch with the freshest raw organic produce and love-grown superfoods. If you’re feeling adventurous, we recommend taking a shot-glass of their specialty secret recipe detox juice. 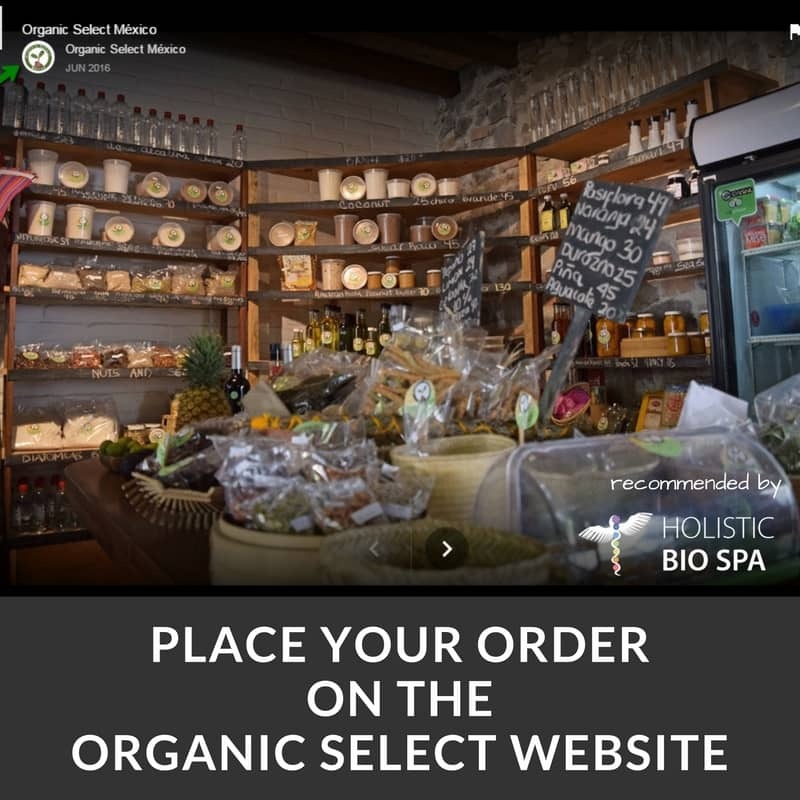 Order your Organic Produce online with Organic Select! Visit the official organic Select website for more info on the prices and availability of produce. If you feel like placing an order on their online Farmer’s Market, we recommend you take a look at their delivery days so you can prepare to receive your organic goods this week. Have you ever had lunch or breakfast at Organic Select? We’d love to hear about your experience! Tell us in the comments! At the Holistic Bio Spa, we are a team of medical professionals experienced in helping people from the United States, Canada, Europe, South America, and Cental America to heal on their own terms and well-being from cancer, Lyme disease, depression, fibromyalgia, and other serious ailments. We hope to share some light in your search for proper health care.